This holiday make Homemade Vanilla Extract, it’s an easy and affordable Christmas gift idea for everyone on your list. I made homemade vanilla with some friends for the first time last year and handed it out as gifts to our teachers, neighbors and my husbands co-workers. It was a simple, yet thoughtful gift that anyone can use and enjoy so I decided to make more this year! Pure Vanilla extract consists of only two things: vodka and vanilla beans. Yep, that’s it. I promise, check the back of the label on the vanilla in your cupboard. And that’s the beauty of making your own, you can make as little or as much as you want. All you have to do is adjust the number of beans and the amount of vodka. The standard ratio is: 2 vanilla beans to every 4 ounces of vodka. Vodka, the quality of vodka doesn’t matter…the cheap stuff will work. Madagascar vanilla beans, I ordered mine from Beanilla and was very pleased with the quality. Vanilla beans can be a little expensive, but you don’t want to skimp on the quality here. There are lots of varieties out there but my favorite are the Mexican Vanilla Bean or the Madagascar Bourbon Vanilla Bean, but pick your favorite and go for it! When your beans arrive they should be fragrant, plump and oily, that is the sign of a good bean. Place the beans in a jar with a lid. Next, pour in the vodka until the vanilla beans are covered. Your vanilla will need to “cure” for at least 6-8 weeks before using. Store the Vanilla in a dark place and about once a week, shake the bottle for 10 seconds to mix it up. Then put it back and wait until it’s reached it’s peak before using! I poured my vanilla into a pretty bottle and tied a black and gold tag I made with my Cricut Explore to the bottle with black and white striped ribbon. I think that this Homemade Vanilla Extract is a simple, pretty and practical Christmas gift that your friends and family will love. 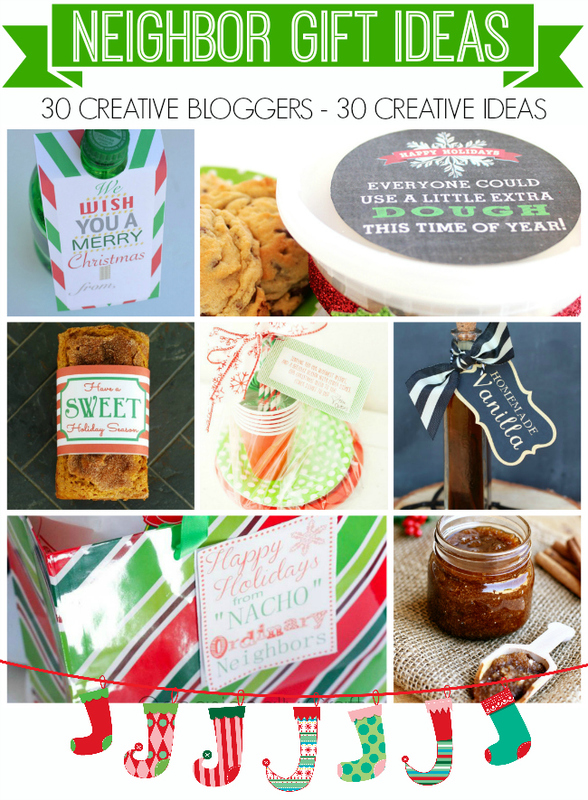 Make sure you check out all of the creative and thoughtful gift ideas you can whip up this holiday season! What are you giving friends and family for Christmas this year? I’ve always wanted to make vanilla, but I’ve been scared to screw it up. You make it look doable! Thanks for the idea. This looks amazing! Great idea and gorgeous packaging. Pinned! Could you use some of the flavored Vodkas that are out now? Maybe coconut vodka or others? Yes Tammy, I’m sure you could. I haven’t tried it, but you can infuse the vodka with anything (cocoa, rosemary, ect) so mixing the flavors might produce a really great combination of flavors!